Owing to the advantages of plastics like cheapness, endurance, lightness, hygiene, and design adaptability, its use is increasing day by day. The negative side of the picture is that it is nonbiodegradable product and they cannot be disposed to open environment, because they affect the environment, soil, and subsoil. They release toxic gasses when exposed to open environment and can block sewer lines, drainages, and other waterways. Plastics are also harmful to human health; they may contain or lead to harmful acids. Thus, recycling of plastic is essential in today’s condition. Incorporating the waste plastics in concrete by converting them into aggregates is one of the possible solutions to consume them. 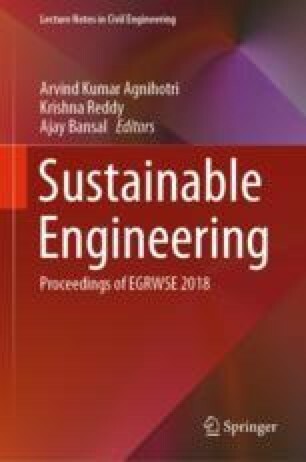 In the present study, work of various authors on natural fine aggregates partially replaced with recycled plastic fine aggregates in concrete is analyzed. The various mechanical and durability properties of concrete made with incorporation of plastic fine aggregates are presented in the paper.